When disaster strikes, a lot of us feel like we should help but aren't sure how. After the earthquake that has devastated Haiti, Bungie has stepped up to let you and your friends be heroes simply by gaming. Join up with others in Halo 3 or Halo 3: ODST in one of the largest co-op gaming efforts we've seen. Play Firefight, versus, or any other online Halo 3 or ODST custom or matchmaking game online. "For every thousand heroes that participate, we will make a $100 donation on behalf of Bungie and our fan community to the Red Cross for Haiti relief efforts, up to a maximum of $77,000." It's so easy to help the victims of the Haiti tragic earthquake. All you have to do is co-op some Halo 3 or Halo 3: ODST with your friends, Co-Optimus, and any of the other gamers participating. Join up, spread the word, and follow these instructions to make sure your gaming time counts. Tell us below which game you'll be on and which mode, and we'll see you there. 1. Round up all of your friends and hop online with Halo 3 or ODST any time next from 00:01AM PST Wednesday, 1/20, through 23:59PM PST Thursday 1/21. 2. Edit your appearance settings so your character is wearing the RED HEART emblem. 3. Once your emblem is set, play! 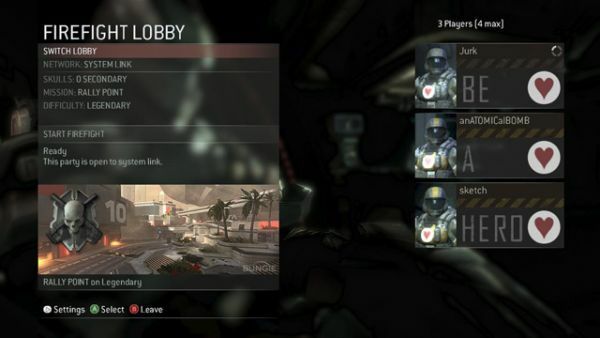 This can be a custom game or a matchmaking game, just make sure it’s played online, on Xbox LIVE, or we can’t track it. Be a co-op hero for Haiti, all you have to do is play a great co-op game online.